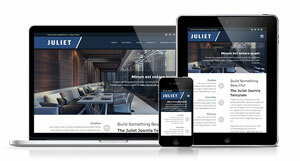 First and foremost, Juliet is fully responsive to ensure the best user experience across all devices for your website. In this mobile world it is important to be accessible across every medium and Juliet allows you to do just that. We have included a number of options to fine tune the display of your content making Juliet and all-in-one solution for small screen devices. We realize that no two websites are the same. With Juliet we have made every effort that each element of the design can be easily tailored and customized to your requirements. Almost every detail of the design can be changed with an array of layout options, color choosers and typography settings. Matching your website design to your brand color scheme can be quickly and easily achieved in just a few clicks. Juliet comes bundled with a number of useful module extensions. We have stylized each of these modules to fit seamlessly within the Juliet template design. Among these modules is the versatile LayerSlideshow module, a slideshow module allowing you to add limitless number of images each with its own title and caption. Other bundled modules include the J51 Thumbs Gallery, J51 Icons, J51 ImageHover and J51 Carousel module. Included is a highly customizable header menu which automatically accommodates multi levels in sleek animated dropdowns. Each level can be split in to columns with the addition of a class within the parent menu item settings. There is even the option to load a module of your choice directly within these dropdowns allowing endless possibilities. Branding your template is super easy and can be all done directly within the template settings. Upload your logo image or simply type in your site title and select from a host of Google fonts. Set different logos depending on screen size to ensure perfect display of your brand across every device. A perfect base with countless opportunities, Juliet is the perfect Joomla template solution for your next project..